You may think of a massage as a luxury item, but it's much more than that. Did you know that massage therapy reduces muscle and joint pain? It also increases circulation, boosts your immune system and it may even help lower blood pressure. No matter who you are you can enjoy these great benefits from a massage, according to research from the American Massage Association. Try a hot stone massage to melt away knots and tension, every muscle in your body will feel warm and relaxed, even in winter. 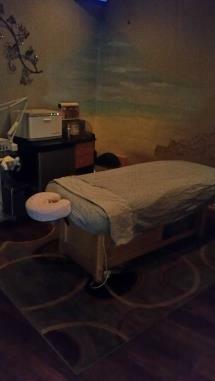 With this kind of massage you will leave the spa energized and ready to face anything that comes your way! Carpal Tunnel Syndrome and sciatic Nerve Pain. relieving minor aches, pains and muscle tension. & fascia,loosens bonds between layers of connective tissue.